Buy 100+ for £17.95 each. 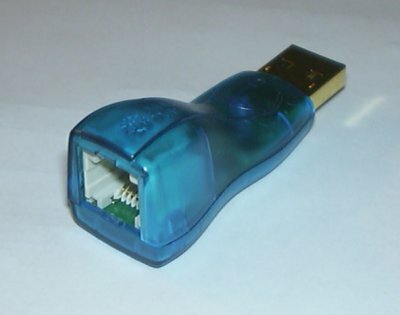 USB to 1-Wire host adapter from Maxim. Click here to see the datasheet for this device. This is a "new old stock" adapter. It is the same as any other DS9490R and has never been used (other than for us to test it before shipping it) but is supplied without any manufacturer packaging or documentation as it has been removed from an add on kit for an old point of sale terminal.